Measles is a highly contagious disease that is now unfortunately prevalent in our community. Measles is transmitted by airborne particles, droplets, and direct contact with the respiratory secretions of an infected person. If you think you or your child has been exposed to measles, contact your health care provider before going to the facility so they can prevent exposure to other patients. Tell the medical staff if you have fever and a rash and about any known exposures or international travel. You can prevent measles by making sure that you and your family have received two doses of MMR vaccine. Chevra Hatzalah has seen an increase in measles cases in our community. In conjunction with the Department of Health we strongly urge everyone to be vaccinated for measles. The Health Department recommends the measles, mumps and rubella (MMR) vaccine for children at age 12 months, with a second dose at 4 to 6 years old. You are not only helping yourself, but you are helping prevent the spread of this disease to others who are not able to be vaccinated. do any adults need to be re-vaccinated? 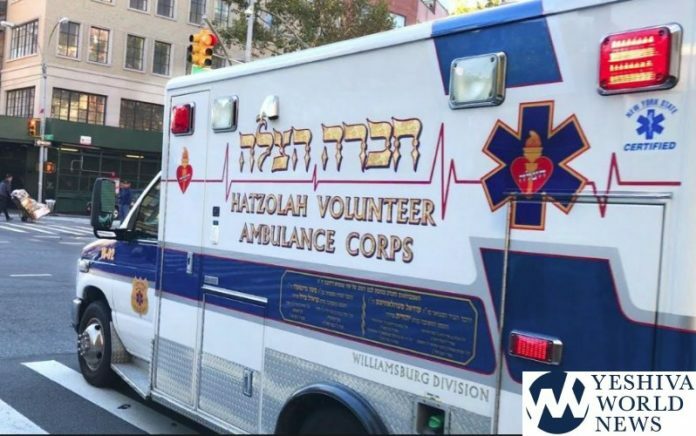 I think it would be fair and understandable for Hatzolah to request anti-vaxxers to not use their service. Instead, anti-vaxxers can just use the 9-1-1 ambulance service. It’s understandable that Hotzolah medics are precious husbands and fathers, working with many different patients during the course of the week. It’s important for them to remain healthy- for their families and patients sake. Remember the Black Plague Libel. Adults born after 1957 up to mid 1970s need to take a blood test as their vaccine is not effective any longer. Adults used to get only one shot instead instead of two. It’s a simple blood test to see if you are immune..
TGIshabbos your comment is offensive. The men and women working for the “911 ambulance service” are also precious fathers, mothers, friends etc. They work long hard, hours and get paid terribly. 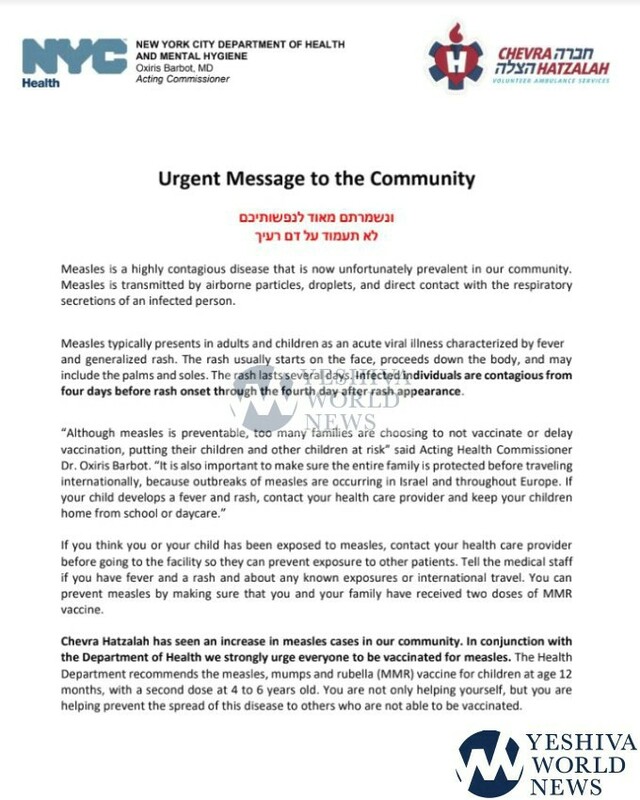 They don’t deserve to be exposed to measles because of the stupidity of some in our communities anymore than a hatzola member does. Bk613, true points. My thinking was that with 9-1-1 is intended and purposes to cover all people, faiths, backgrounds, and demographics (including Christians and others who don’t stupidly vaccinate). My intent was that perhaps it would really personally hit home knowing that it is no longer a chesed or a love for Hatzolah to put themselves in a danger with stubborn fellow Antivaxxer Jews. Perhaps the best solution is antivaxxers drive themselves to the medical facility. The anti-vaxxers are still considered a part of ‘amisecha’, as far as I understand the halachos, although I am not a ‘baki’ in them.